Posted by Aimee Malmberg on Thursday, November 1st, 2018 at 1:15pm. See: Balance “finally returning” to housing market as buyers welcome more choices, moderating prices. In most of the country, it’s normal, and even expected, for buyers to negotiate the list price down. 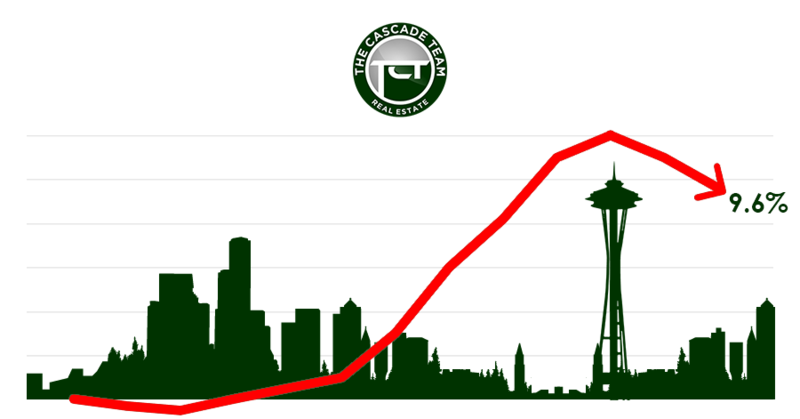 But in Seattle, the asking price had become merely a starting point destined to be bid up in a furry of offers and waived contingencies. Now however, the drop in competition level, driven by a weakened buyer pool, has changed the way people shop and bid on homes. Buyers are more likely to avoid bidding wars and the dangers that come with them, like fast-paced deals and waiving inspections, which had become standard in recent years. It’s a similar, though slightly less dramatic story across the broader metro area: The typical home from Tacoma to Everett now goes for 0.4 percent below list price, down from the spring peak when homes went for 4.6 percent above asking. The detailed report on the market cooling came Tuesday with the monthly release of the nationwide Case-Shiller home price index. The index shows single-family home prices across the metro area fell 1.6 percent in August on a month-over-month basis, the biggest drop in the country. Still, on a brighter note for home owners. 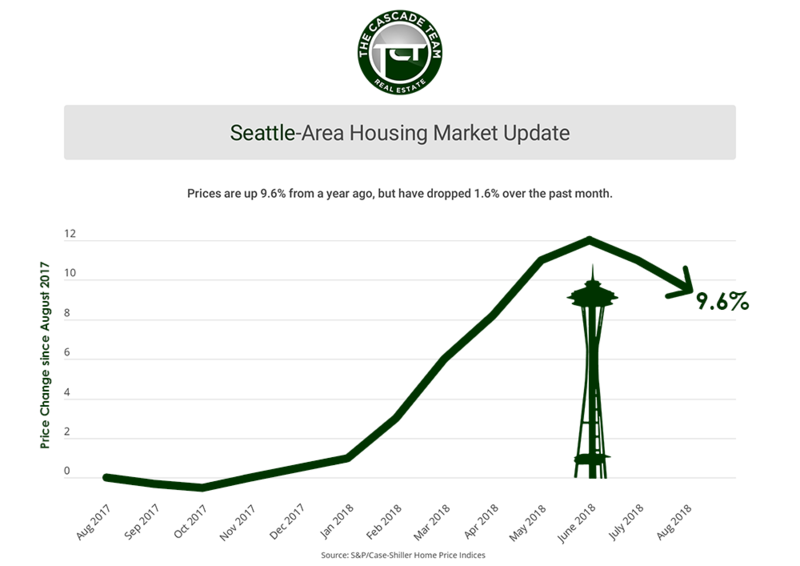 On a year-over-year basis, prices in Greater Seattle still grew 9.6 percent. That pace while the lowest in three years, still shows significant appreciation. The increase was mostly driven by demand for the cheapest homes in the region, which are mostly in Pierce County and north Snohomish County.